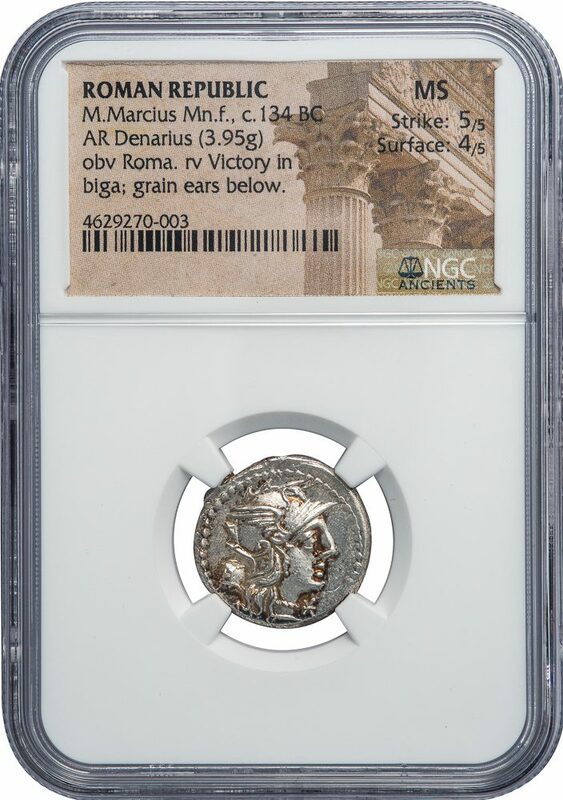 ROMAN REPUBLIC. M. MARCIUS, 134 BC. 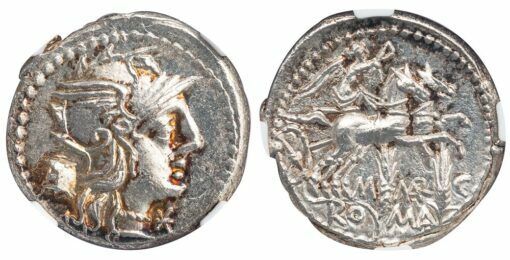 Silver Denarius, 3.95 g., 20 mm. Obv. Helmeted head of Roma right, modius behind, mark of value below chin. Rev. M MAR, ROMA, Victory in biga right, a pair of grain stalks below. Sydenham 500; Crawford 245/1; Marcia 8; RBW 1009. NGC graded MINT STATE, Strike 5/5, Surface 4/5, a high grade specimen with deep golden iridescent highlights.